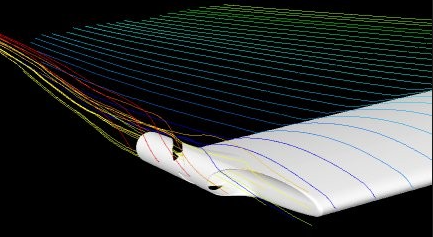 Aerodynamics in aviation is the study of how a moving aircraft reacts to atmospheric air. It is primarily concerned with the forces of drag and lift acting on an aircraft due to moving air. Engineers design various airfoil shapes achieve optimum results as per aircraft operational requirement. Some aircraft require high lift, some require high speed and some may require easy maneuvering capability- so the study of aerodynamics allows having an efficient and effective aircraft. Aerodynamic forces are also used to control an aircraft in flight in all three-axis.